Mario and friends are no strangers to the board game scene: the Mario Party series is a perennial favorite, and rightly so. Those games are colourful, exciting and, most of all, fun. But it may come as something of a surprise to find our favorite denizens of the Mushroom Kingdom sharing a board with characters from the Dragon Quest series. Leave it to Fortune Street (Boom Street in Europe), though, to prove that the unlikely pairing has a lot to offer. Fortune Street has a rich history dating at least as far back as 1991, when it was a simple Japan-only Famicom game based on a concept by Dragon Quest creator Yuji Horii. Twenty years later we have the Wii incarnation, and it's safe to say that this is the first iteration that most gamers around the world are likely to play. That's not a bad thing, as the game has a lot going for it. Played as a board game that takes heavy (but welcome) inspiration from Monopoly, Fortune Street sees players buying and improving the properties they land on, applying fines to players who stop on spaces they own, and collecting a nice monetary bonus each time they pass the starting square. So far, so Monopoly. 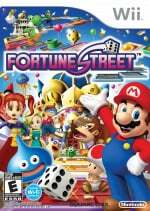 Fortune Street, however, adds a lot to this solid foundation, most notably the concept of stocks that players can purchase. Stocks generate revenue from the rent collected by other players in the regions that you've invested in, which means you can actually often turn a heavier profit from other players' properties than from the ones you own yourself! Stocks are purchased at the bank, which is also where you collect your pay. In order to qualify for payment, you need to collect all four suits (hearts, diamonds, spades and clubs) scattered around the board. Each time you do this and return to the bank you level up, get a nice boost to your personal worth, and open up additional financial bonuses to yourself, making it a good idea to return to the bank as frequently as possible. The game contains multiple boards, each of which retains the same basic concept but mixes things up in terms of varying routes and victory conditions. Rather than bankrupting every other player, for instance, you may be required to collect a certain amount of money, or raise your personal worth beyond a given threshold. If you do this and return to the bank, victory is yours! Various spaces around the board will allow you to choose a card, each of which affects play in different, and often unpredictable, ways. Other spaces allow you to either collect commission on other people's fines, or will cause your shops to close up for the night and become rent-free. (Don't land on that space!) For the purposes of this review we will have to gloss over many of the game's options, such as the brilliantly customizable options for negotiation, but suffice it to say that strategy gets deeper the more time you spend with the game and that it's worth taking a few spins around the board with CPU opponents just to learn the nuances of their dealings. Single player mode is also the only way to unlock additional features, so don't skip it. The gameplay itself is simple: you shake the Wii remote or press 2 to roll the die, and everything else is handled by the control pad. 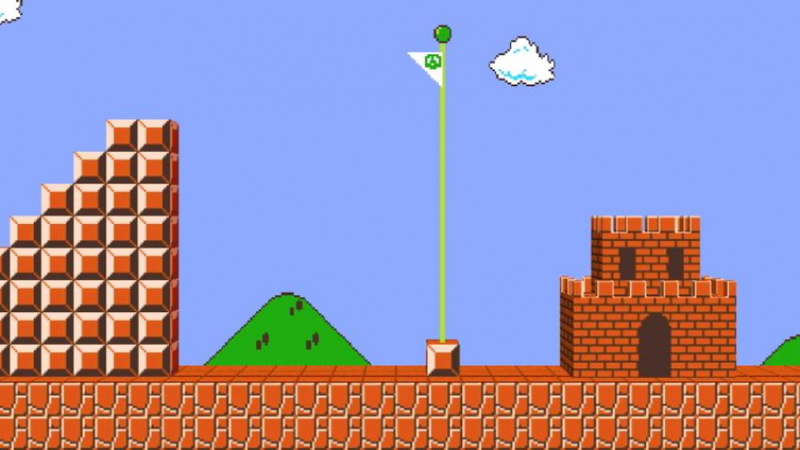 There are select mini-games that use different control schemes, but those are explained before each begins. The soundtrack, as you might expect, is pulled from the many Mario and Dragon Quest games, and it's very good. The main songs that play in each board can begin to feel tiresome during long play sessions (and, like Monopoly, the play sessions can get very long), but that's a relatively minor complaint. Graphically the game is a lot of fun, and the ability to play as your Mii is a welcome alternative if you don't particularly like any of the characters available, though with so many to choose from that isn't very likely. Overall, Fortune Street is a lot of fun. It's not as exciting as Mario Party, but it's infinitely more strategic. There are a few unfortunate gameplay wrinkles, such as having to confirm your move even when you have no other choice, and some unnecessary dialogue you'll need to skip through if you play with the CPU, but really the only hurdle to enjoying this game is its own complexity. If you put forth the effort you'll reap some very large rewards, but gamers who bore easily may never strike the oil just below the surface. 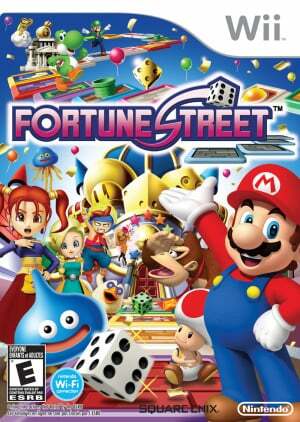 Taken on its own merits, Fortune Street offers some tremendous potential for fun. The experience is hampered somewhat by its complexity, but that's nothing that can’t be overcome with a little bit of practice. Your mileage will depend entirely upon the patience of those you play it with, and not all gamers will stick around long enough to learn the nuances of the game's strategy. Those who do, however, will be glad they did. Of course its great! Dragon quest + Mario. Honestly if the only main complaint with this game is that it is too complicated for new players then it's done really well for itself. Very good game with Mario + Dragon Quest!! I'll not hesitate to buy it! Going to pick this copy up soon. Glad to see this get a good review, especially after the other party hopefully (M&S at the London Olympics) isn't looking to good. 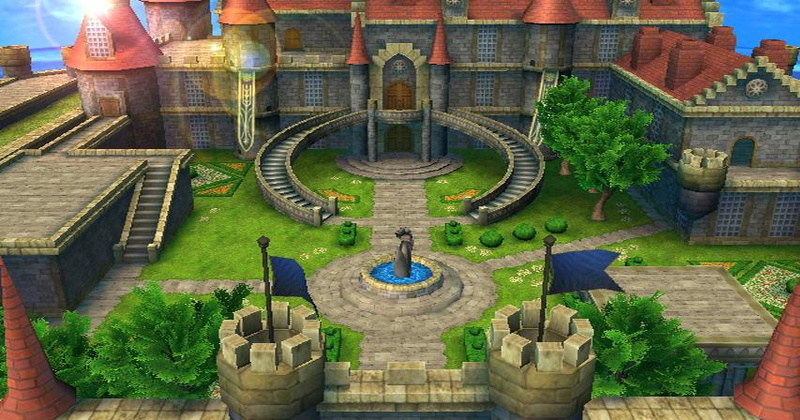 "...the Mario Party series is a perennial favourite, and rightly so. Those games are colourful, exciting and, most of all, fun." Did you play Mario Party 7!? It'd be more fun to paint dots on the GameCube and roll it into the M1! (2 was great though )! Yeah! Been waiting for a review from Nintendolife! Everyone go get it and play me! Mmm...I cant think of anyone to play this with, would just prefer a board game. Also, the fact that stages float ABOVE the worlds seems cheap. I may give it a try if I find it at discount, but I'm still waiting to get Rayman Origins. This was released in the worst possible time. I always wanted to play an Itadaki Street game. Why didn't Square Enix release the previous games years ago? I'm going to rent it first. I love the whole crossover idea, but I could never finish a game of Monopoly. Since this game is "Nintendopoly," I might not be patient enough to play through a game. If you run into someone who says that this game looks like a boring rip-off of the Mario Party series needs to be directed to this review. I'll buy it. Certainly a Dragon Quest fan+ Mario Bros. fan. Why not get it. Jessica looks but ugly though. I'd like to try this game. I heard it's very addictive and was steadily growing in popularity in the regions it was released. Always glad when Japan-only classics finally get an official release in the west. Will get this early next year. Here in Germany it's called "STRASSEN DES GLÜCKS" (Streets of Fortune). Shame there's not going to be a PAL version until next month. I was planning to buy it no matter what review score it got, but thanks for reconfirming that it's a worthwhile purchase. A simplified mode is included if that scares you less. Same basic idea, but less complicated finances. As interesting as this sounds, I'm probably gonna pass. I don't think I've ever played a game of Monopoly that ended well (if it ended at all); adding cheery avatars and projectile weapons (wiimotes) into the mix probably won't abate any murderous intent. I've never play monopoly. However monopoly reminds me of the command board game from KHBBS. Is this game like the command board from KHBBS? or just plain monopoly with Mario and Dragon Quest players? It's like the Command Board. That was based off this game. @Revolver, it can end sooner with then Monopoly. Both by only 1 person bankrupting or reaching the goal Networth. I still have to say I never thought Mario and DQ were going to be in a same game; weird, yet I like the idea. This is my game to get the family playing this Christmas. I am interested. However, it is likely I will mainly play it online. Considering it is a long game, I wonder if the AI will take the place of any dropped player in an online match. Not that interested in a board game on the wii with mario characters and dragonquest characters i'll just pick this up maybe when its about 19.99 or maybe ill just skip it or i might rent it and see if i like it or not. I have the game and I love it, but I would give it only 5 stars entirely because there is no way to save in multiplayer. I use my Wii primarily as a party console and I have yet to be able to complete a single multiplayer game of Fortune Street. Even at the lowest options of the simplest board we just can't finish it in a single gaming session. I consider the save game feature very important and your review doesn't mention it at all. Wish they'd bundled this in with Mario Party 9. Doesn't grab me enough tbh. I'm going for Mario Party 9 instead whenever that's out. Spent too much over last 2 months anyway. I got this Christmas Eve and have been playing it for over 10 hours a day since. It's amazingly addictive and wonderfully deep, even more than a game of Monopoly. 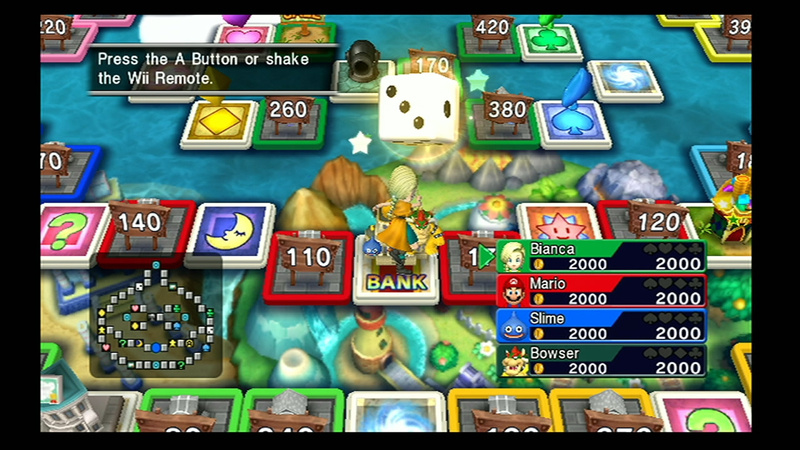 Mario Party 9 is just wacky luck-based fun to be had in short bursts. 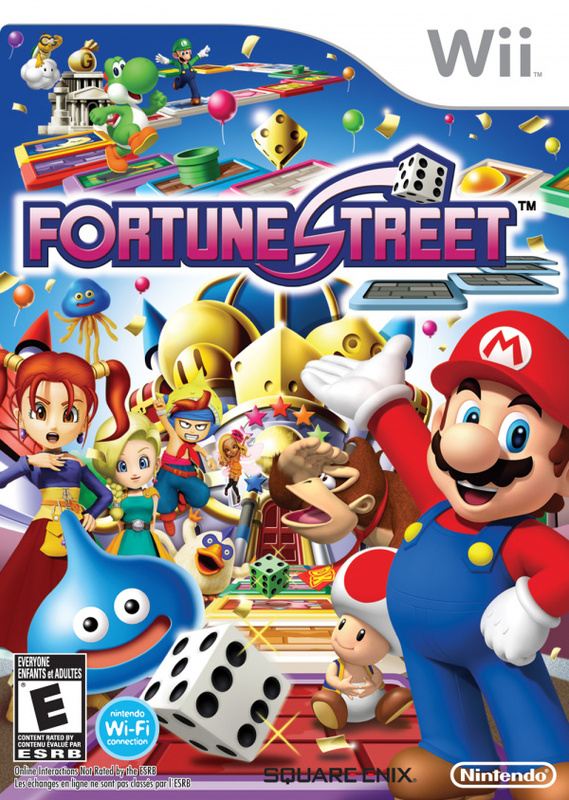 Fortune Street is for those of us who are the big time board game fans. hmmm.. looks interesting... but ill probably pass.. I got this game 2 weeks ago and have been hooked on it! 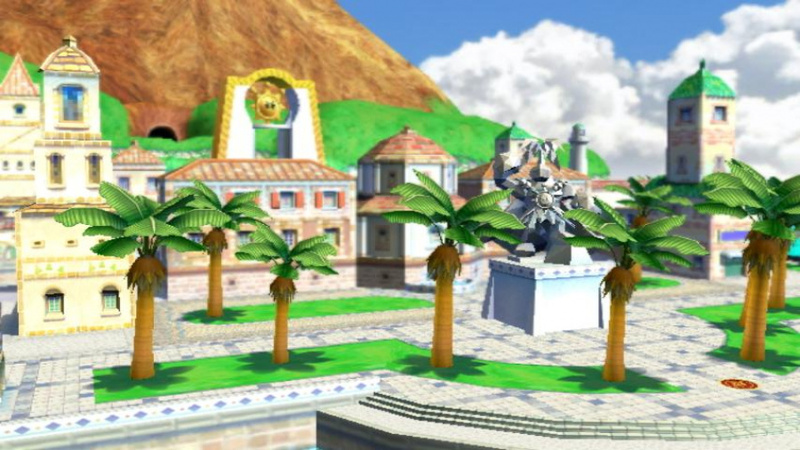 I would play for hours on end without even realising it because unlike Mario Party, there's no set number of turns that usually take a set amount amount of time to play. When I played it with a friend we changed the Goal Amount to something like 999000 (as high as it would go) so the only way of winning was to bankrupt all the other players! 200 turns and 6 hours later I won it. I love Monopoly, and I received this game as a birthday present. I am not disappointed. I understand that the very slow pace and strictly board game formula (the anti-Mario Party?!) is a turn-off for many, but I like it. In the slurpdrome minigame, the winner gets a boost from a gooslime that is positively phallic.